While the curing speed alone helps installers complete more footage in a given workday, the Bluelight system’s LED technology offers another important advantage as well. Since the resin cannot be activated by heat, air or non-LED light sources, resin-impregnated liners are stable enough for storage and extended working times. The Bluelight LED system is compact and lightweight, making it easily portable on the jobsite. In addition, it includes a camera mounted in the LED curing head, allowing the installer to visually inspect inverted lining and monitor the cure progression. With testing and certifications now complete, the Bluelight LED CIPP lining system is exclusively available by direct sale from HammerHead throughout North America. 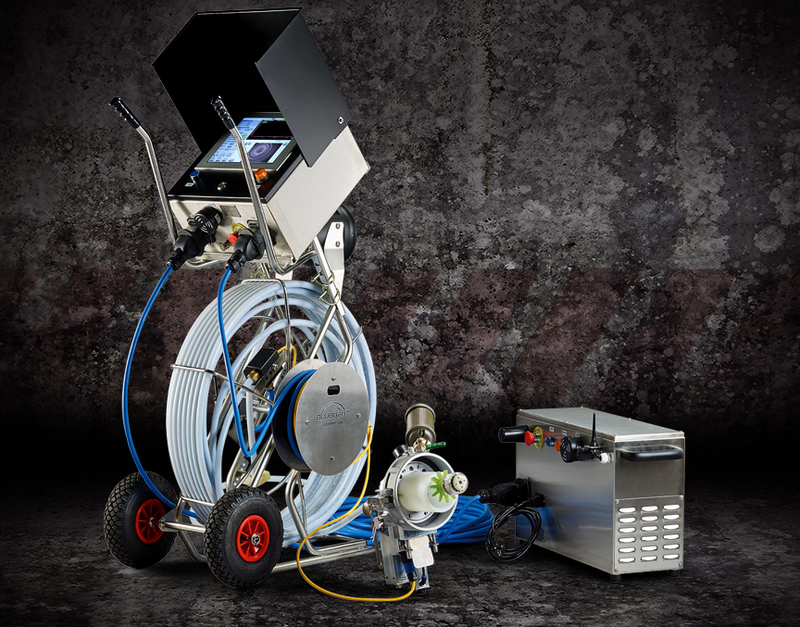 It will be on display at the company’s booth (#5206) at the 2019 WWETT show in Indianapolis February 21-23.